What does Shale Shaker Screen mean? 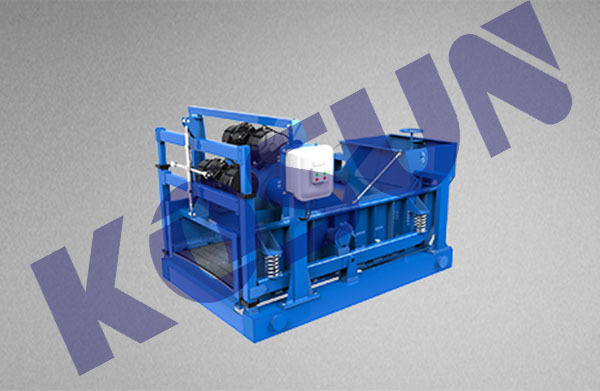 A Shale Shaker Screen is a component of a drilling rig that acts as the first point of contact or first phase by which drill cuttings come in contact while entering into the shale shaker equipment. A shale shaker is a solid separation tool that helps in the removal of the large portions of cuttings from drilling fluids. Shale shaker screens are important to the shale shaker equipment used in the mining, oil and gas and coal cleaning industries for grinding and controlling drill cuttings from mud. Shale shakers are considered to be vital components of drilling equipment. These are not only used in the upstream sector of the oil and gas industry, but also in other industries, such as ore mining and cleaning, coal mining and cleaning, etc. A shale shaker forms the very first phase of the solids control system on a drilling rig. Shale shaker screens come with a variety of frames such as steel frames, composite frames, hook strip flat type screens, pyramid shaped screens, etc. The specification of a shale shaker screen varies as per the mesh size and the mesh size is designed as per the various API screen number specifications. For example, mesh size >7801.0 TO 925.0 microns is designed as per API 20 and mesh size > 550.0 TO 655.0 microns is designed as per API 30 and so on. 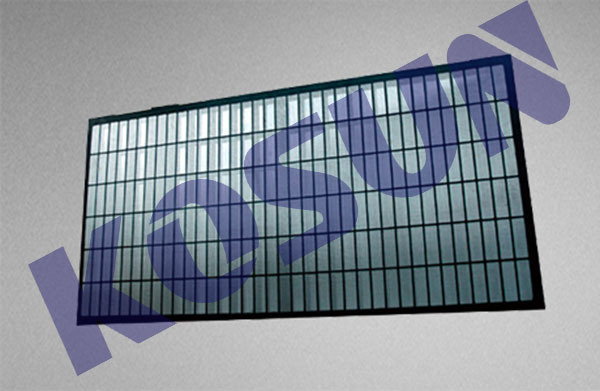 KOSUN Shale shaker screen are wear part of the shale shaker, mainly classified into soft sieve screen, sieve plate type screen,and frame plate type screen.Product characteristics are wear resistance, wearability, rating of temperature, low cost, easy disassembly, conductivity ( powder ) liquid, good trapping ( dreg ) effect, etc. How to Install Shaker Screen for Shale Shaker? Shale screen and Shale shaker are critical in the drilling process. Despite this, the shaker screens are delicate and prone to damage by drilling solids which occasionally break them. Having equipment that meets the industry standards and maintaining it well is inescapable. What use is there in having a good equipment that you cannot install? Due to the crucial role they play in the solid control process, understanding how to install the shaker screen is critical. Perhaps when you first purchased, the screen was already installed in the equipment. However, because the screen is fragile and gets damaged in the course of working, it requires occasional replacement and re-installation. The steps outlined below have been incorporated with general observances that equipment users are familiar with. They will guide you about how to install a shaker screen. i. As soon as it is damaged shut down the equipment, close the feeder and provide tag. ii. Use your hands or appropriate tools to uninstall the screen. iii. Clean the screens in the drilling mud using water. iv. Transfer drilling solids from the shale shaker by using the centrifugal sand pump and the shear pump to cut the drilling solids into smaller sizes to ease transportation. v. Extract the screen from the equipment. vi. Put the screen carefully on the table. Tighten the screen carefully using screws. For multiple-layered screens go, through the process again for each of the layers of screen. vii. Bolt the screen on the side with the locating bar with the cuttings outfall on the outside and plug it into the generator trailer. Your shaker screen is now installed and you are ready to resume work. Remember that much as it is imperative for the user to know how to install the screen, choosing the screen that meets industry standards is as paramount. Shaker Screens are used in Shale Shakers as part of solid control system in drilling operations of various industries, such as oil and gas drilling, mining, coal cleaning, etc. They primarily serve the purpose of separating drilling cuttings from the drilling fluids. A shaker screen is the key component in shale shaker equipment. They function as a sieve to block the solid drilling waste and let the precious drilling fluid to be carried to a separate channel for further treatment. Drilling fluid is a cocktail of number of chemicals that help in the drilling process. Drilling fluid is prepared in two variations – water based and oil based, and they are very costly to obtain. They serve as lubricant agent to keep the drilling waste management equipment efficiently functioning. They keep the drilling bit cool and clean to penetrate deeper into the borehole. And because of these reasons, operators invest in technologies to lower their overall operational cost and also for the environmental purpose. Shale Shaker are one such equipment to achieve that goal. Shaker Screens have two integral parts – a screen Panel and a screen Mesh. A screen panel will hold the mesh in place, to efficiently serve its purpose. It is much like a larger frame that holds smaller sections of the mesh with help of intersections. The frame itself comes in different material and shape. One key differentiator among them is the area of mesh between these intersection, that could be utilized for the screening. These intersections are known as “blanking”. The lower the blanking better the shaker screen’s performance. 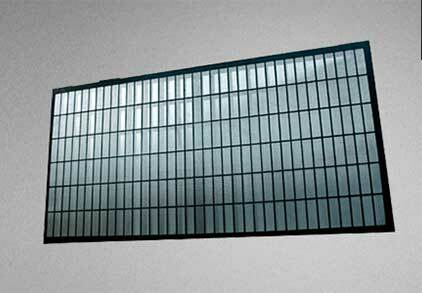 In the past, countries and manufacturers developed screen panels with their own specifications and placed them on the market. Users chose screen panels for the price without understanding them, just look for shaker screens for sale. The lack of credible criteria and disparities in the market confounded shaker screen end-users. The American Petroleum Institute (API) standardizes criteria and regulations that streamline identification of screen panels in the industry. API unravels the mystery behind screen technology to provide industry standard specifications that make it easier for users to choose the right equipment for their work. By doing so, they have put in place international standards to regulate solid control. So now we should choose the shale shaker screen manufacturers who passed API certifications, and then the shaker screens for sale is acceptable. The API RP 13C uses dry aluminum oxide sieves to determine the size of particles that can be separated by a screen. The test is not a performance indicator but a characterization of mesh openings. It measures fluid permeability per unit thickness using Darcy’s law. The test determines the ability of a fluid to pass through the screen at a predetermined pressure drop. The API RP 13C screen efficiency testing does not measure performance; it characterizes screen openings. It uses aluminum oxide grit on a Ro-Tap sieve shaker to determine conductance and provide a description of the openings in the screen. – Adhere to established guidelines. The API standards is a God-send for shaker screen end users. 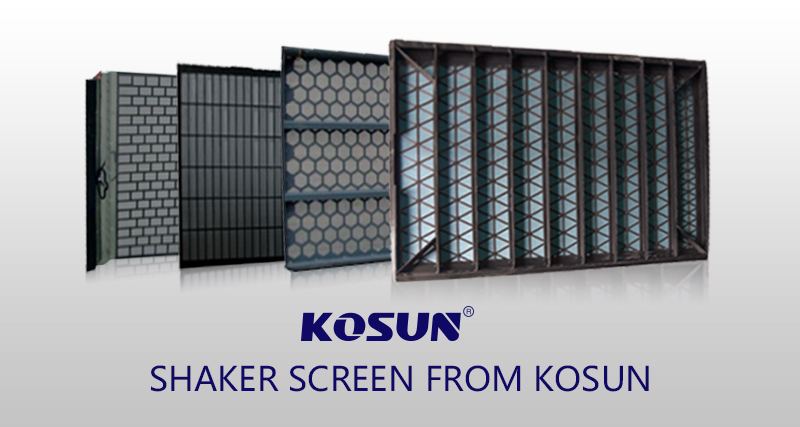 Kosun has 24 years manufacturing experience in oilfiled driling mud separation and solid control system, and lucky is they offering shaker screens for sale recently, but only in several shale shaker screen sizes. It has demystified specifications and streamlined the shaker screen market. Users are assured when they know that the equipment they are buying is ISO certified and meets international standards. Welcome to contact us if you need any help.